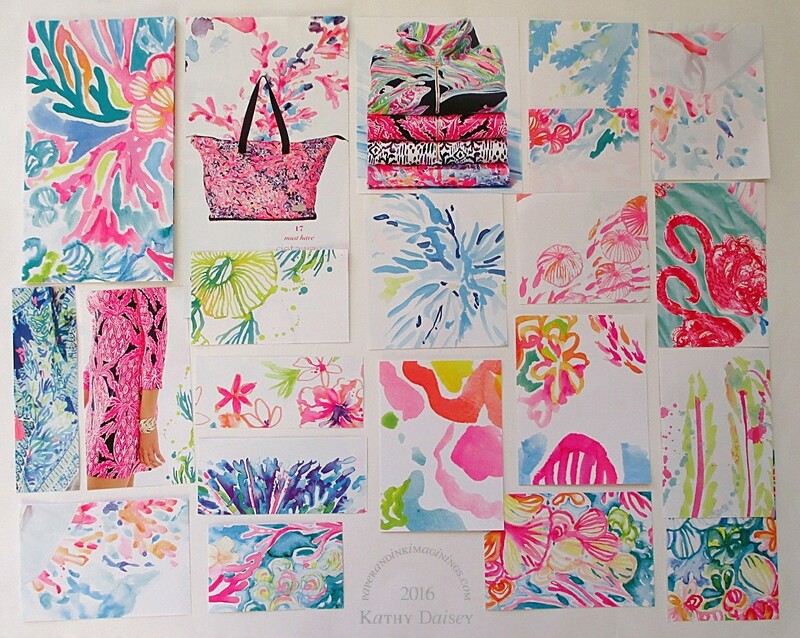 I got this Lilly Pulitzer mailing (not quite a catalog) a few weeks ago. 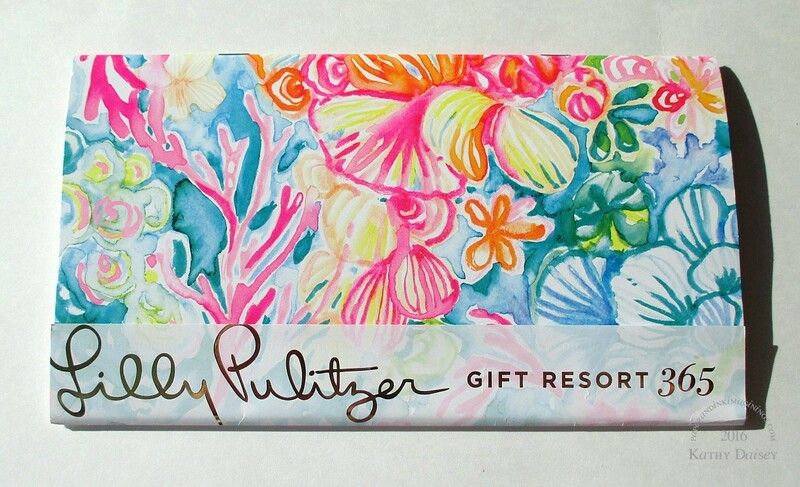 I love Lilly Pulitzer artwork! I am on their mailing list because I purchase one planner a year, to give as a gift. Every page of this thing had artwork or color that inspired me. So, I took it apart, and cut it into pieces. Here are three encouragement cards that I made with some of the pieces. Supplies: Stamps – Simon Says Stamp, paper – Gmund Royal, Lilly Pulitzer ad, Neenah Classic Crest Solar White, Poptone Razzle Berry, Stampin’ Up! Pacific Point, YoYo Yellow (retired), ink – VersaFine Onyx Black, dies – My Favorite Things (pierced rectangle), Spellbinders (circles), embossing powders – Filigree Fine Art Powder clear, Ranger Liquid Platinum, organdy ribbon – Offray, gold cord – Stampin’ Up! (retired). 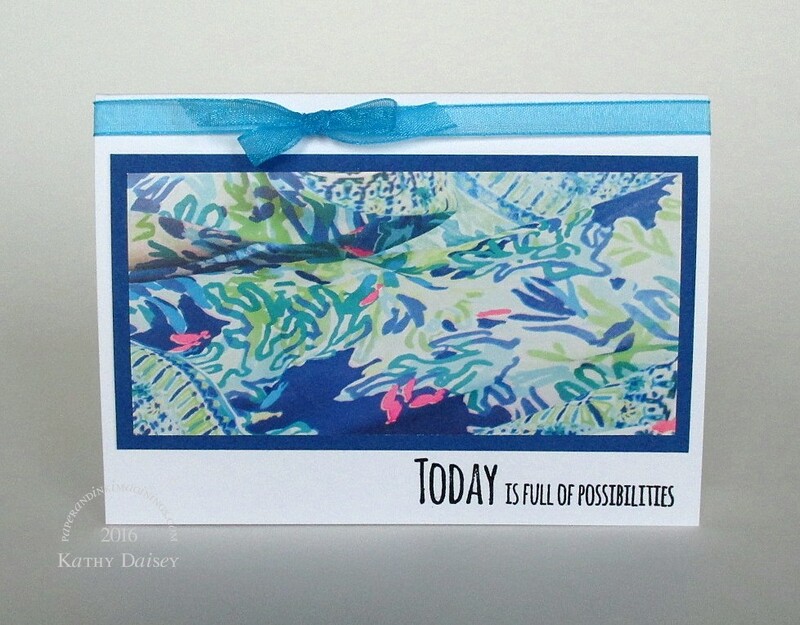 Categories: card, encouragement, thoughts | Tags: card, Gmund, Lilly Pulitzer, My Favorite Things, Offray, Poptone, Ranger, Simon Says Stamp, Spellbinders, Stampin' Up!, Tsukineko, VersaFine | Permalink. Found objects ate the best. Really cute use.